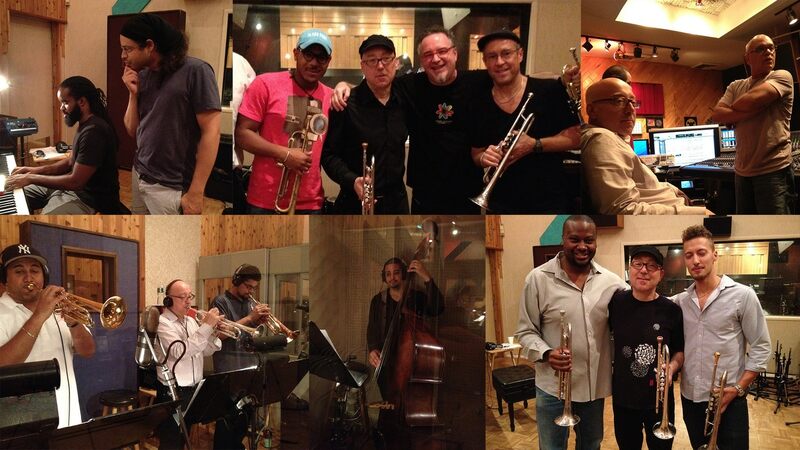 Photo montage of recording sessions for Brian Lynch’s Grammy-nominated album “Madera Latino: A Latin Perspective on the Music of Woody Shaw.” In photo at lower right, Lynch the is trumpeter in the middle, in black hat. Grammy-winning trumpeter Brian Lynch presents a master class and lecture, at Wisconsin Conservatory of Music, 1583 N. Prospect Ave., 6 p.m. Wednesday, Feb. 6, free admission. Trumpeter Jamie Breiwick’s Dreamland, at Company Brewing, 735 E. Center St. , 9 p.m. Saturday, Feb. 10. $10. A man who sort of lived in his own world, Thelonious Monk was always so much his own man artistically that he was sometimes aptly characterized as “The Loneliest Monk.” But it turns out that the bebop pioneer, who really forged a zig-zag, one-of-a-kind road before dying in 1982, simply will not be forgotten, for the array of ingenious and appealing qualities in his music. So here we are in 2018, and The New York City Jazz Record, a publication based in America’s jazz capital but with a national scope and reach, improbably chose the late Thelonious Monk as one of five 2017 “Musicians of the Year” in its January issue, along with four very living musicians. Perhaps most notably among the back-from-the-dead Monk factors was trumpeter Wadada Leo Smith, arguable the most critically-acclaimed jazz musician of the last several years, releasing a new album drawing raves: Solo: Reflections and Meditations on Monk, one of the NYC Jazz Record’s “albums of the year.” The album also prompted a long essay on Smith in the Feb. 8th issue of The New York Review of Books, a rare distinction for a jazz recording. Smith’s trumpeting finds a deep and expansive connection with the uncannily artful use of space (as in silence between notes) and seemingly disjunct rhythm in Monk tunes, an aesthetic that Smith has cultivated on his own terms for years. Thelonious Monk, UPI-Photo Courtesy of the heirs of W. Eugene Smith and the Center for Creative Photography at the University of Arizona. All of this Monk creative energy spins across the nation and spirals down into Milwaukee for a notable Monk event this weekend. Like the Pulitzer Prize Finalist and MacArthur “genius” Award-winning Smith, Jamie Breiwick is a gifted trumpeter who loves to use his horn and brains to cut through the complexities, felicities and revelations of Monk’s music. His Monk repertory band Dreamland will perform Saturday at 9 p.m. at Company Brewing. The Dreamland band includes Jamie Breiwick, trumpet; Jonathan Greenstein, tenor saxophone; Mark Davis, piano; Clay Schaub, bass; and Devin Drobka, drums. Through several personnel incarnations the band’s piano and drums chairs – crucial to executing Monk – have remained constantly Davis and Drobka. The multifaceted Breiwick has been honing and fleshing out this pet project for several years and this highly accomplished band is preparing for a live recording, reportedly at Company Brewing’s neighbor venue, The Jazz Gallery Center for the Arts, this spring. Jamie Breiwick, founder and leader of the Thelonious Monk repertory band Dreamland. Breiwick is actually a Racine native and resident, but does the majority of his performing in Milwaukee and is co-founder and principal manager of Milwaukee Jazz Vision, a website that promotes local jazz and archives the music’s history in this city. Among his other adventures and exploits have included spear-heading the all-original-music concept of The Lesser Lakes Trio and playing trumpeter Don Cherry’s role in an Ornette Coleman re-enactment tribute band at Company Brewing a few years ago. He also played several gigs in New York and Chicago recently with acclaimed drummer-bandleader Matt Wilson. Yet for Breiwick, also a Grammy-winning music educator, Monk is as musically fecund and enlightening as any modern music. Truth be told, reinterpreting and reimagining Monk’s music in recording and tribute band projects has occurred consistently ever since his passing, thus honoring him probably more than any other jazz composer over that 35-year period. Nevertheless, Breiwick and his Dreamland band (named for an intriguingly obscure Monk composition) has carved its own distinctive niche in Monkism with a rich perspective on this perpetually engrossing and delightful music. 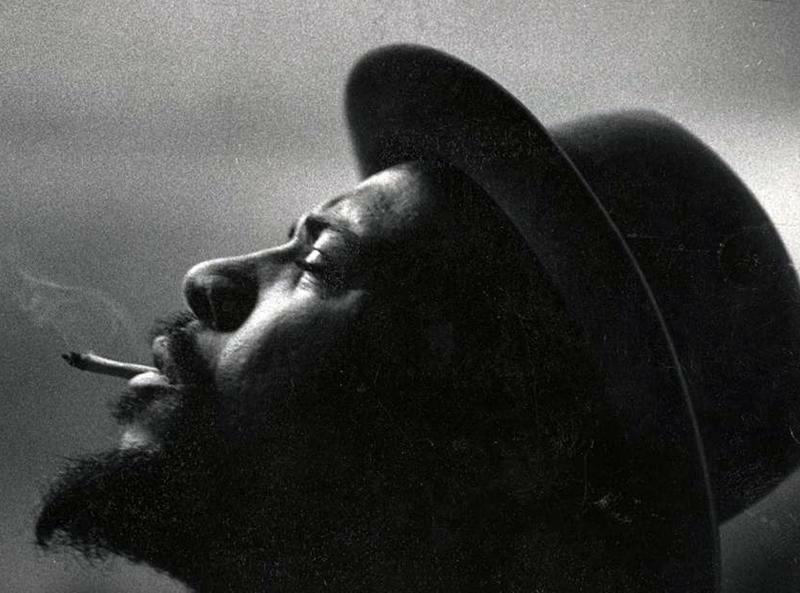 We’re about a year beyond the 35th anniversary year of Monk’s death – he passed on February 17, 1982. So mounting a Dreamland gig one week before his death’s exact anniversary day feels very apt for making a big Monk statement, with Dreamland’s Saturday date, and later the impending live recording. Breiwick has strove to explain why Monk has so captivated his musical imagination and why listeners have so much to gain and enjoy. In his own blog, Breiwick wrote: “I remember trying to play ‘Think of One,’ having never played it before – maybe, having never even heard it before. I remember having the feeling that the composition led me into different melodic and rhythmic directions. Directions I might not have otherwise chosen. I also remember feeling like whatever I decided to play, would fit – free, loose, fast, slow, spacious, angular. “It intrigued me, and the adventure began. It led me to explore other artists who found inspiration in Monk’s compositions such as: Steve Lacy, Barry Harris, Don Cherry, Alexander von Schlippenbach, Bud Powell, Jason Moran, Sonny Rollins, Ethan Iversen (of The Bad Plus, who has written about Monk in depth) among others. One of the things I started to do was analyze how others approached improvising over those difficult harmonies and forms.” Here’s the blog link, filled also with many fine reader responses to Breiwick’s rhetorical question: Why Thelonious Monk? What’s remarkable though is, no matter how difficult and recondite Monk’s music can be for musicians to play, almost invariably it has its own peculiar drama and suspense, rhythmic buoyancy and melodic charm. Most of his beautiful ballads (“Round Midnight,” “Ruby My Dear,” etc.) are appropriately reflective and romantic, but almost all of his medium-tempo music brims with wit and humorous surprises. You may find yourself laughing at it, or with it. If you haven’t tried Monk, you may be surprised how much you like him. You might even find yourself, later on, drifting into a dreamland inhabited by the mysterious Monk and is uncanny ways. 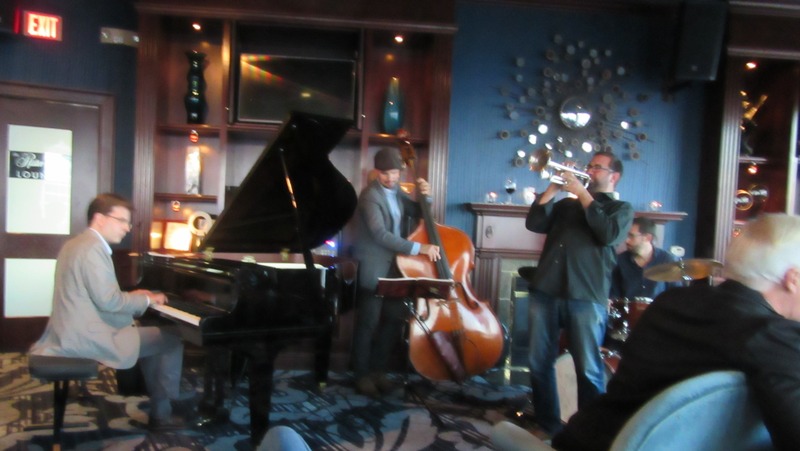 Brian Lynch is a classic story of local boy made good and, singer Al Jarreau aside, he’s succeeded perhaps more than any Milwaukee jazz musician of the modern jazz era, and since. In fact, this year, Lynch – after a long, auspicious journey as a post-bop pied piper – seems to have reached the jazz mountaintop. His compelling and often dazzling two-CD set Madera Latino: A Latin Jazz Perspective on the Music of Woody Shaw pulled off a musically ambitious concept with stunning authority that garnered him widespread praise, including being selected as Album of the Year and Lynch chosen as Trumpeter of the Year in the Jazz Journalists Association poll (arguably the most definitive jazz poll – of committed critics who pay for membership). Among other critical responses were glowing reviews in DownBeat (four stars), Jazz Times and on Amazon. The music interprets, in crackling Latin grooves, a variety of Woody Shaw compositions and a few strong Lynch originals. 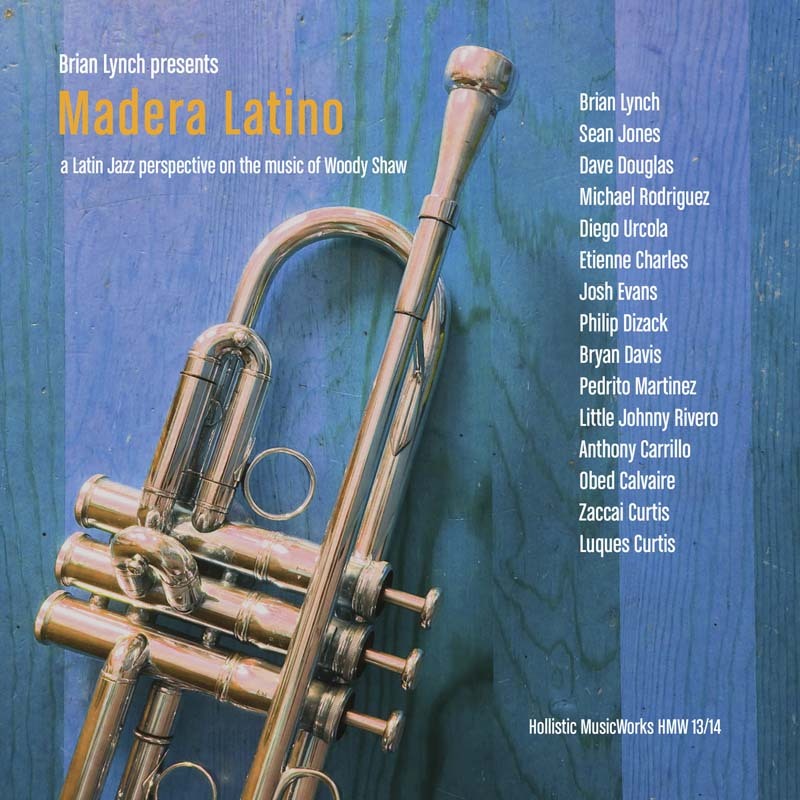 Madera Latino (a nifty wordplay, “Latin wood”) employs ensembles ranging from nonets to sextets, and Lynch dared have trumpeters carry the front-line load with nary a saxophonist. The notables include trumpeters Dave Douglas, Shawn Jones and Michael Rodriguez and fellow Milwaukee-native trumpeter Philip Dizack, and powerful rhythm sections, including drummer Obed Calvaire from the SFJAZZ Ensemble. Percussionists Pedro Martinez and Little Johnny Rivero, with bassist Luques Curtis, played with Lynch on Simpatico, his 2006 album with Eddie Palmieri which snagged the co-leaders a Grammy award for Best Latin Jazz Album. And this year Madera Latino was nominated for a Grammy in the same category. Wednesday Lynch returns to his hometown, which he does at least once annually, for a master class and lecture at his alma mater, The Wisconsin Conservatory of Music. He’ll also exercise his versatility by performing this weekend with the Bill Bonifas Electric Band and the Milwaukee Ballet Thursday through Sunday, in a program of local choreographers and musicians titled “Made in MKE” at The Marcus Center’s Uihlein Hall. But the jazz master class with students and lecture at the Conservatory is a free event and a great way to get an up-close feel for the way Lynch thinks, plays and educates. He’s a professor of music at the University of Miami and, aside from his extraordinary album, Lynch asserted himself as arguably the leading authority on Woody Shaw’s music (with a Latin slant) in his remarkably in-depth and insightful “Brass School” article – including 12 (count ’em) illustrated musical examples of Lynch’s Madera Latino arrangements – in DownBeat magazine in April 2016. 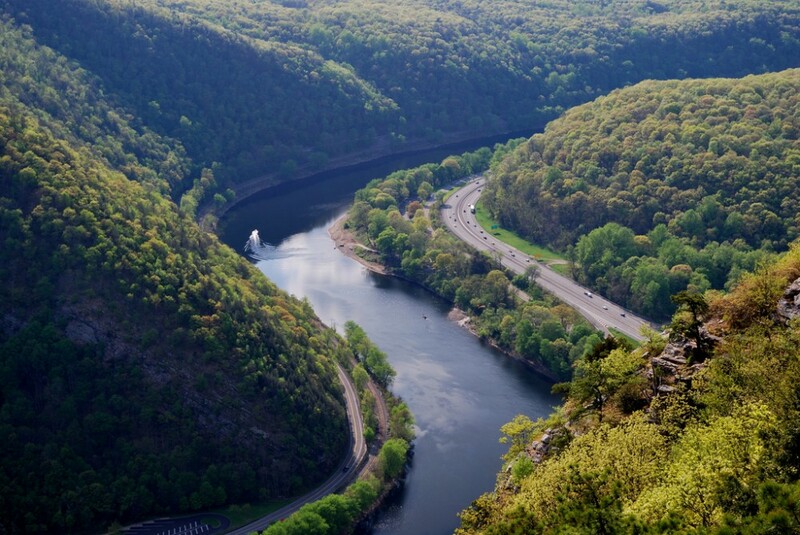 Given the deliverer, this talk may provide food for thought for anyone who values this nation’s original American art form, and the ways it has helped, and may yet still, enrich the American experiment. Interesting that you use that particular Monk picture. It was the original Jazz Gallery picture. It was in a place of honor in the music room on the wall right above the piano bench. I believe it was the only picture in the music room. I always felt that the spirit of the Gallery flowed from that picture. I believe that the spirit of of the Jazz Gallery continues to flow from that picture of Monk. thanks Chuck, that’s a great Milwaukee Monk memory. Chuck, I am planning on doing a live recording of the Monk group at the Jazz Gallery – hopefully sometime this year! Jamie, You da man. I can’t wait for this! Did you hear David Hazeltine do “Ask Me Now” at Pianofest at the Jazz Gallery Sunday? Outta sight.